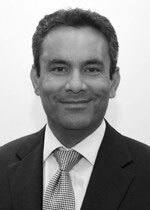 In his NHS role, Mr Kaloo is lead clinician for the Menstrual Disorders clinic, the Endometriosis/Pelvic pain clinic and the Post Menopausal Bleeding (PMB) clinic. Mr Kaloo spent an additional four years in clinical work and research into endometriosis and laparosocpic surgery at the University of Sydney, Australia and King Edward Memorial Hospital for Women in Perth, Australia. Mr Philip Kaloo does not hold a share or financial interest in this hospital, another Nuffield Health hospital or the company. Mr Philip Kaloo does not have a share or financial interest in equipment used at this hospital or another Nuffield Health hospital. Mr Philip Kaloo does not hold any paid advisory role(s) at this hospital or on behalf of Nuffield Health.